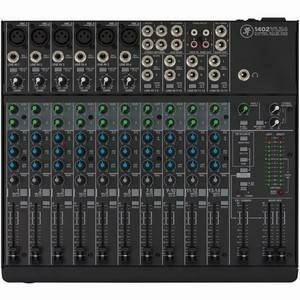 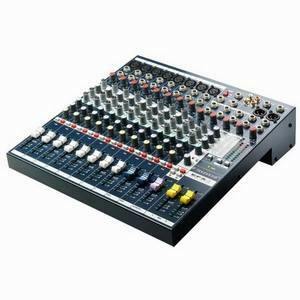 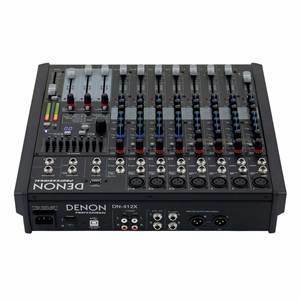 The DN-412X is a compact 12 channel, 2-bus portable mixer that fuses superior sound quality and a diverse, flexible feature-set. 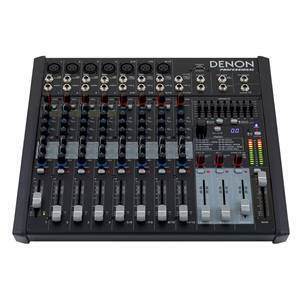 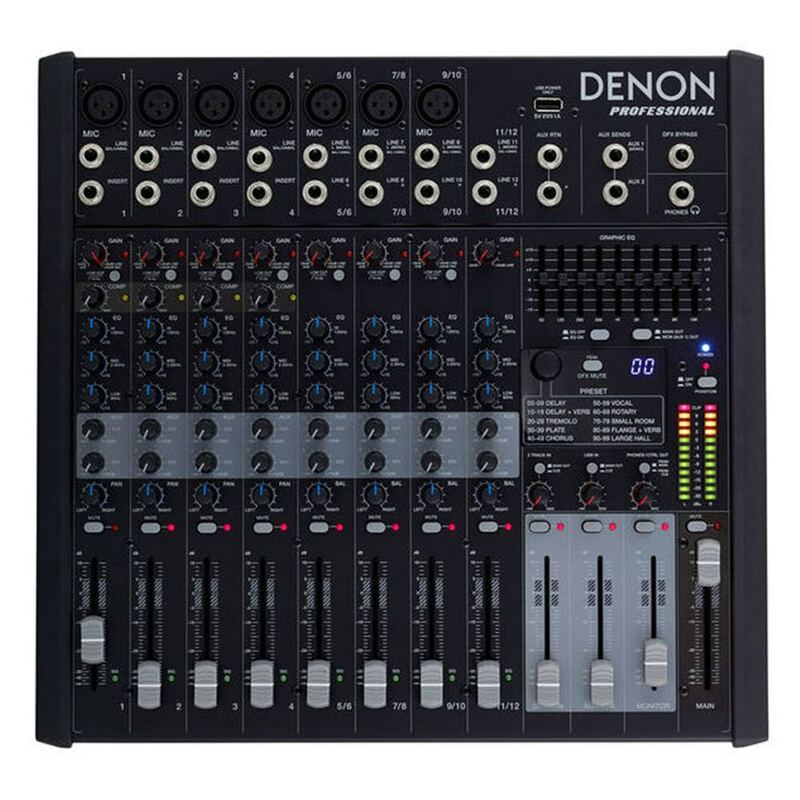 The DN-412X includes up-to-date functionality to ensure the user’s mix remains on point, including on-board compression (ch1-4), 3-band EQs on every channel, a 9-band graphic master EQ and 100 on-board DSP effects fed via 2 sends on every channel. 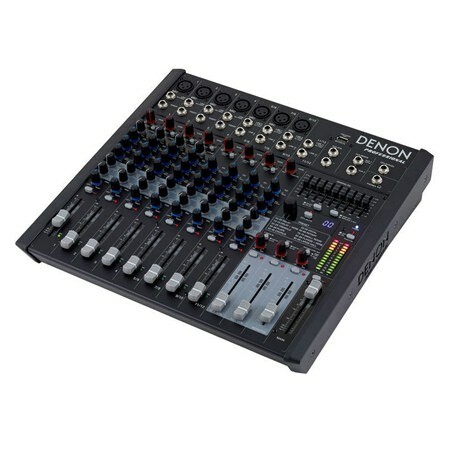 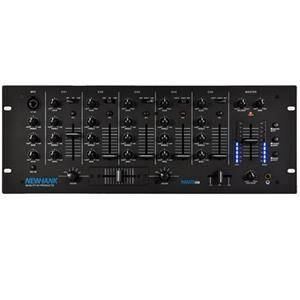 The DN-412X offers a wealth of input and output types including XLR, balanced ¼” and RCA - a combination that ensures effortless integration into existing setups. 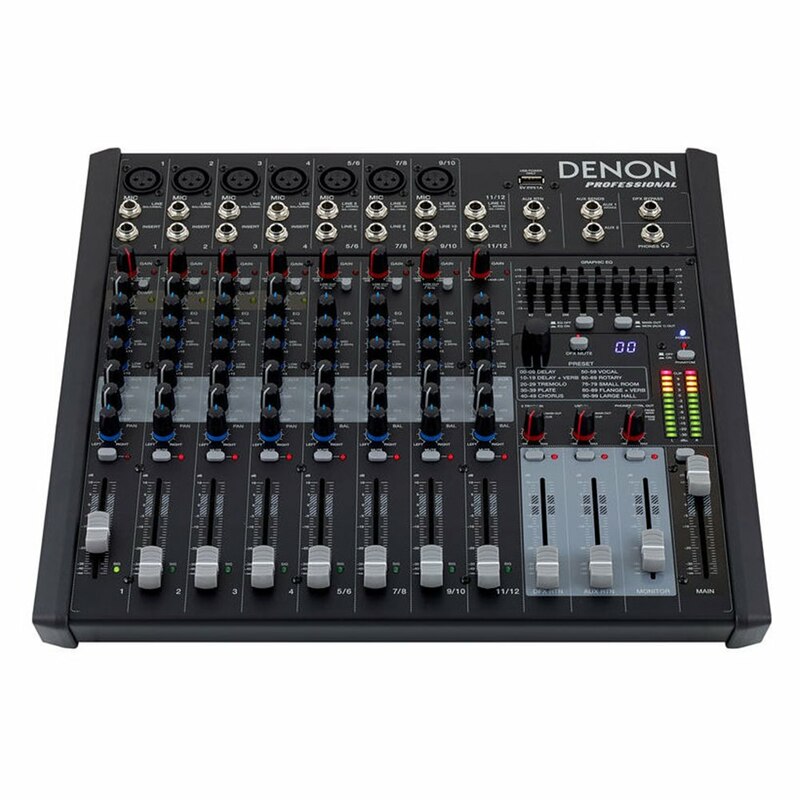 With the DN-412X superior sound quality is assured courtesy of it’s high headroom DyNamic Audio (DNA) mic preamps that provide an ultra-clean audio path from input to output. 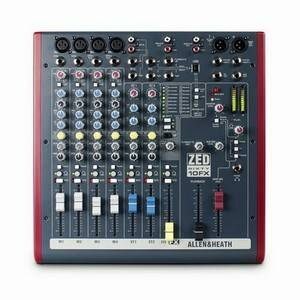 Ideal for public speaking, conferences and performing arts venues, the DN-412X offers utmost capability in a compact, ultra-portable table-top format.